← Report on the Rebel Nursing Conference! Peace & Power and other blogs! Just in case anyone wonders where I have been in the blog-0-sphere, here is a report — I now have about a dozen wordpress sites underway! Admitedly, not all of these are active at all times, but they all demand my attention from time to time! There are a few that folks who follow this blog might be interested in seeing, so feel free to jump on over to another blog if you are so inspired! Here is the list! Peace & Power – My blog tour starts with this website/blog that I am thrilled to introduce! The book “Peace and Power” was first self-published by Charlene Eldridge Wheeler and me way back in 1984! Now the book is published by Jones & Bartlett in their textbook line-up, but its applicability is much wider than this! So I developed the website/blog to provide a more accessible summary and overview of the process for almost anyone, anywhere. This site also opens the door for interaction and discussion, which I hope will become much more active over time! So if you are so inspired, take a look at this site and add your comments – I will respond! Advances in Nursing Science. This has become perhaps my most active blog .. every week or so I feature one of the articles in ANS with a message from the author(s). Over the past several weeks we have featured articles from our recent issue focused on “Peace and Health” — even if you are not a nurse, I am quite sure you will find one of those featured articles really interesting, and inspiring! 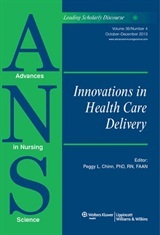 We are just starting to feature articles that appear in the current issue that focuss on “Innovations in Health Care Delivery.” Very timely, given the turmoil we are experiencing here in the US with the new Affordable Care Act! From the Editor’s Pen – This blog is administered by my friend and colleague, Leslie Nicoll, who is the Editor of “CIN: Computers, Informatics Nursing“. 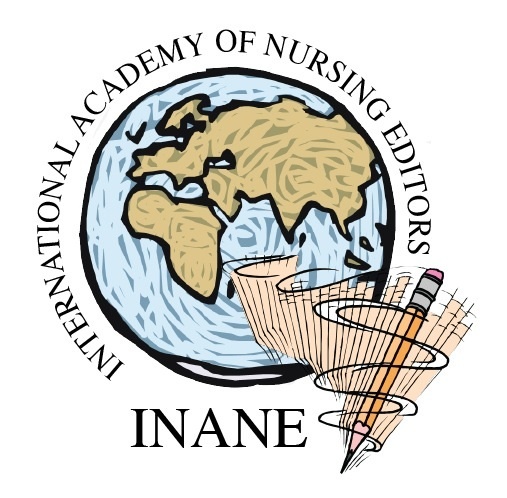 This is the official blog of INANE: International Academy of Nursing Editors.” When, about 3 years ago, Leslie asked me about becoming an author on this blog, I was delighted because the world of blogging was totally foreign to me and I jumped at the opportunity to learn! It was not long before I started this, my own blog! On the “Editor’s Pen” we post information about our members and general information of interest to nursing editors. 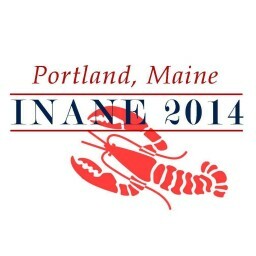 INANE in Maine 2014 – Another fabulous blog administered by Leslie Nicoll! This one is home to all things related to our conference coming up in August 2014 – to be held in Leslie’s home town of Portland, Maine. Leslie is the host of this conference and I, along with several other Editors, am on the planning team. We have set a goal of having a completely paperless conference – perhaps one of the first ever! Even the program is going to be paperless, using a mobile device app! We will have some signage in the hotel on paper, and perhaps some paper napkins .. but otherwise, we are going all electronic! This is an example of a website/blog – the site has pages that contain everything you need to know about the conference, including registration, abstract submission, and a gateway to contribute to the Suzanne Smith Development Fund. I am a contributor to this blog — either Leslie or I post something about the conference every couple of weeks. Lesbian Nurse Stories Project – This is another website/blog that is home to this new project to collect stories from lesbian nurses. The site gives information on the background of the project, describes the approach that we are using, and information for narrators who might contribute their stories to the archive. This project just got underway so the blog itself is not very active yet, but it does a report of the team’s recent get-togethers in Denver and in Washington, DC! NurseManifest Blog – This blog is co-administered by myself, Jane Dickinson, Carey Clarke, Mona Shattell and Olga Jarrin! 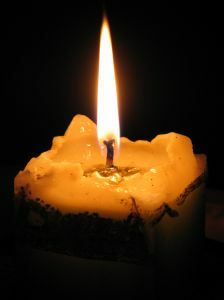 This is a site to watch, because over the next few weeks, it will be transformed to the website that is now NurseManifest.com in order to bring the website and the blog together under one “roof”. The new site will include all the features of the current site, but will also have some new features such as practical information about ways to transform nursing practice. Nurse Educator Praxis – This is another blog that our NurseManifest team administers – focused on issues and approaches for transforming nursing education. This blog will remain independent of the NurseManifest website/blog, but it is fully integral to the intents and purposes of the NurseManifest project. In addition to these blogs, I usually have “transient” blogs for courses that I teach, and there are two private blogs that I want to mention – even though they are “private”! Mémé Stories for Sophie and Elodie – I started this blog several month ago because of how much my granddaughters love hearing stories about my life, and especially about their Dad when he was a child! They also love seeing pictures of these “ancient” times! It occurred to me that I should start writing some of these stories, and that if I did this on a blog I could use some of their favorite pictures to fill in more of the story than we can usually cover in our times together! LGBTQI Nurse Authors – This blog has a different “twist” — it is a virtual support group for nurses who are seeking to publish articles on LGBTQI topics in nursing journals. Mickey Eliason and I administer this blog/support group .. it emerged from discussions among nurses at the GLMA meeting in Denver in September .. nurses who were becoming discouraged about getting their work published. We set up the blog and have been spreading the word for anyone who is interested. We “require” that anyone who joins the group needs to be actively involved in asking for and giving constructive feedback on their ideas and drafts of material they are developing for publication. We also post general information about publishing so that folks who are not familiar with some of the basics of publishing can become better informed and better prepared to enter a world that can be very daunting, regardless of the topic! We will be sharing more about this experience of using a blog site as a support group in more public venues .. so stay tuned! And if you are interested in the group, let me know! 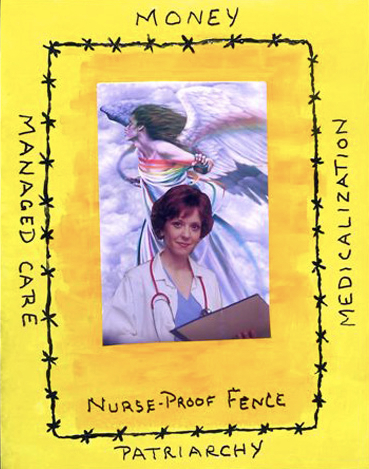 This entry was posted in Health Care, LGBTQ, Nursing, Peace & Power. Bookmark the permalink.